Finally, something to do with that USB port. 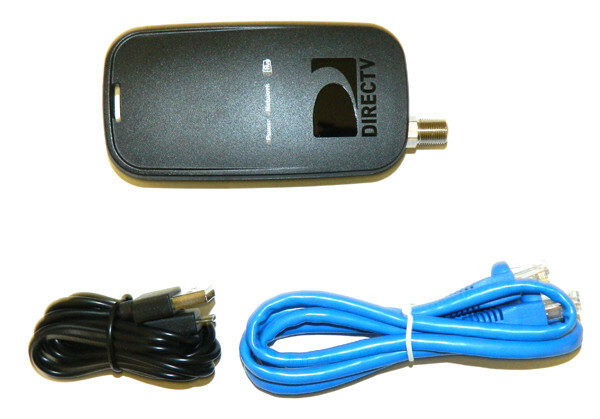 DIRECTV continues to streamline installations with the new Generation 3 DECA Broadband devices. These are about the size of the previous generation, but there’s a new trick to them: you can power them through the receiver’s USB port. Let’s take a look. Model DCAU1 is different from the previous generation because it does not have an attached coax pigtail. 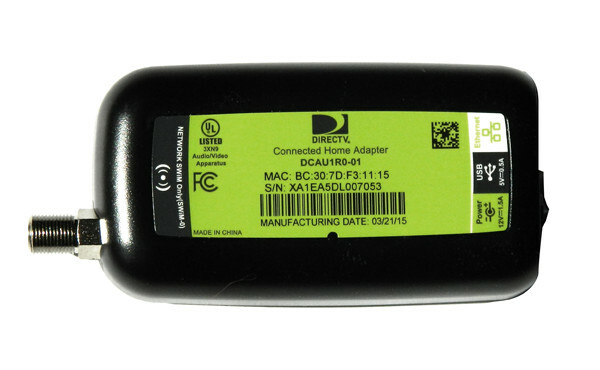 This means it can’t be used to provide internet to an older HR20-HR23 or H21-H23 receiver without adding a splitter. 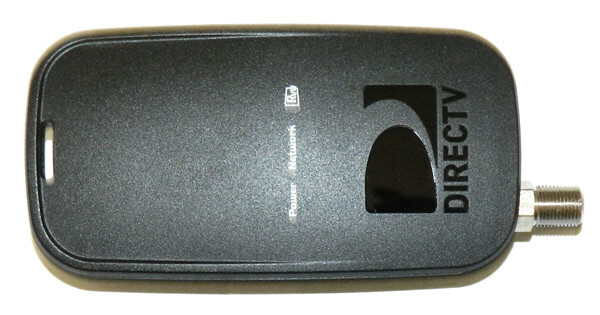 After all these years, it seems that there aren’t a lot of those older devices left and DIRECTV created a unit that is easier to power rather than making you power it through the coax. There are two models, depending on how you want to power it. 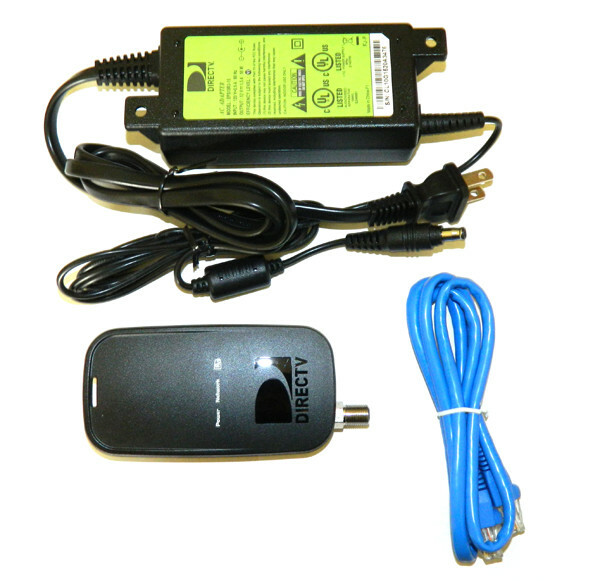 If you’re replacing an existing Cinema Connection Kit or DECA Broadband, you probably want the DECAEPSKIT which includes the DECA, the Ethernet cable and a standard EPS10 power adapter. Any EPS10 you may have lying around will work here. but in my testing I found that You must power this from the receiver. It does not power up with any USB power brick, whether 500mA or a higher one. 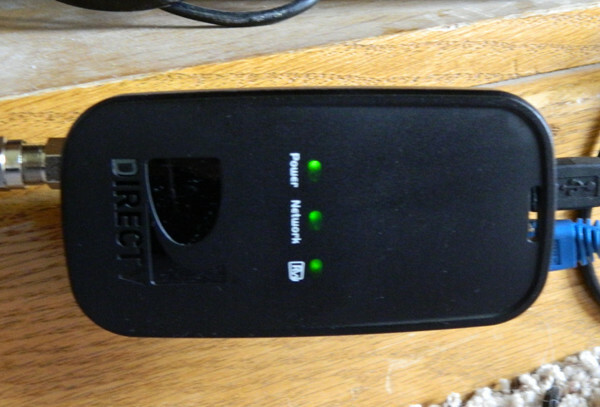 However, if you plug it into the USB port of any DIRECTV receiver, it powers right up. There must be something else going on that is preventing it from powering up, and I’m not quite sure why that would be. Perhaps it’s not rated for those high-amperage power adapters and DIRECTV doesn’t want you trying them. Another nice little addition is the door which flips from side to side. 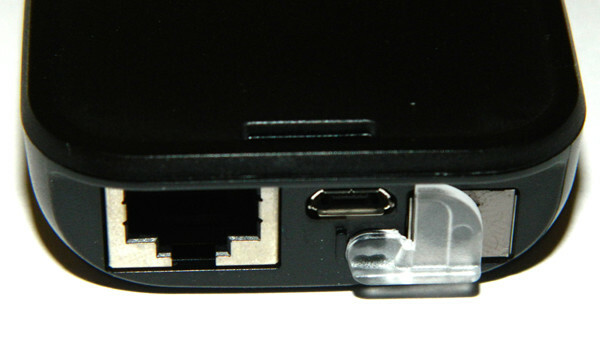 You won’t accidentally power this little box from both ports, it’s practically impossible. As with other DECAs, what you’re looking for here is three green lights, as shown below in this blurry, flash-free picture of the DECA in place. It can take up to two minutes to get all the lights to light up. The Power light comes on when it’s powered, the Network light shows the presence of a coax network, and (a little strange here) the RVU light will go on once the adapter is correctly connected to the router. The standalone DECA Broadband is a little bit of a rare bird since DIRECTV put Wi-Fi into the Genie DVR, and it’s nice to see them simplifying it. I was not really a fan of the use of the EPS10 power supply because it really creates a messy install. With USB, the install is much simpler and when used purely as a coax-to-Ethernet adapter, it works very well and it’s very small without the attached coax pigtail of the previous generation.